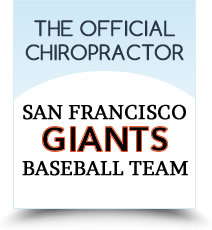 If you are visiting John Muir Chiropractic Center for the first time, we would like you to know exactly what to expect. Your comfort is always our first priority! Your first visit with us will take about one hour. Upon arrival at our office, you will be warmly greeted by one of our staff members, who will provide you with some new patient paperwork to fill out if you haven’t already downloaded it from our website. Following analysis of the combined examination testing, we will then present you with the results, called a report of findings. Dr. Michael Gazdar will recommend a customized care plan to get you out of pain and on the road to wellness as quickly as possible. We will estimate the length of time required to complete your program, your initial frequency of visits, and all financial and insurance options. We will make sure that you know exactly what we can offer in the way of help, support and education. You’ll then be able to experience your first chiropractic adjustment! It usually takes between 10 and 20 minutes for a regular office visit so those with busy lifestyles can get in and out quickly. We also try to be accommodating of your time by offering very early morning appointment choices. Approximately every 12 visits we will also do a brief one-on-one progress exam. The purpose of these exams is to assess how well your adjustments are working and how well your nervous system is responding. We will also want to pinpoint any “stressors” in your life so that we can eliminate them or help you to manage them more effectively. We have a very relaxed philosophy in our practice: we tell people what they need, but we try to give you what you want. The choice is always yours. We also encourage you to order a copy of Dr. Gazdar’s book, Take Your Back to the Future, for an overview of what chiropractic care can do for everyone in your family. We would love to have you as a practice member! • To help heal our world through chiropractic, service, and education with conviction and passion. • To impact our world by caring for children, and help society evolve so chiropractic care is sought out. • To heal the world one spine at a time with PTC (Present Time Consciousness), harmony, and balance.